My Califorteana post a few months ago included a photograph taken by Paul Jackson of the archetypal "ghost town" of Bodie in California. A few days ago Paul visited another ghost town... the deserted village of Imber on Salisbury Plain (the picture on the left shows the boarded up remains of Imber Court, an old manor house). 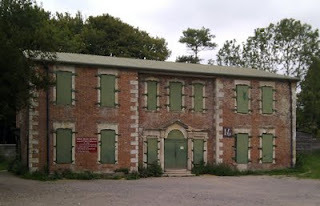 Although Imber is less than thirty miles from where Paul lives, it's one of the most inaccessible places in the country... because it's locked away inside the British Army's training grounds. The Army took over the village during the Second World War, because its location and topography made it an ideal place for them to practice urban warfare in preparation for the invasion of Normandy. The residents were forcibly evacuated, with the assurance that they could return when the war was over. Unfortunately, the moment the war was over the Army had to start practicing for the next war... and then the one after that and so on. After almost seventy years, Imber is still being used as a training ground for urban warfare! The village is off-limits to the public on all but a handful of days every year, when visitors like Paul flock to experience what is essentially a time-warp back to the 1940s. The surreal atmosphere is accentuated by the use of ancient red Routemaster buses to ferry visitors around! 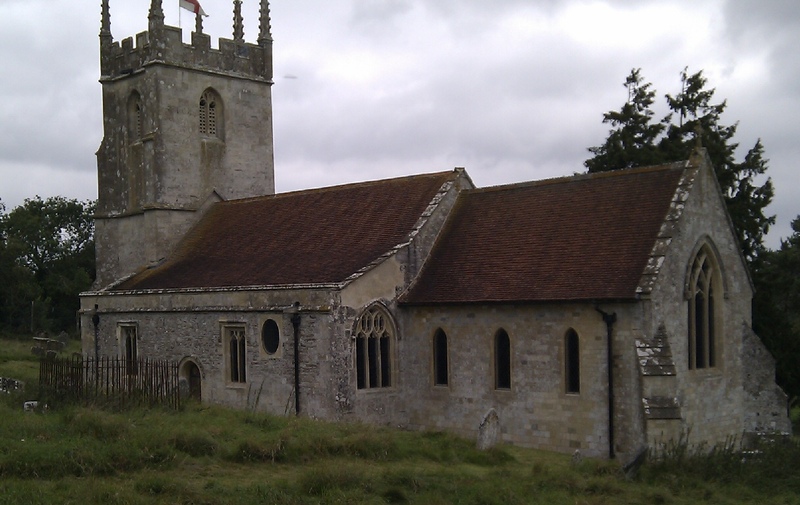 Imber was always an isolated place, even when it was lived in: "Seven miles from any town, there stands Imber on the Down". The town referred to, which is indeed seven miles away, is Warminster. The name Warminster may not mean much to people nowadays, and it probably never did mean much to people outside the British Isles, but in the 1960s and 70s Warminster was Britain's most notorious UFO "hot-spot" -- the venue for countless overnight vigils by UFO spotters, hippies and New Age truth-seekers. And Imber itself was not immune from such activities. An article in the June 1967 issue of MUFORG Bulletin (and now reprinted on the Magonia website) recounted a "Sky Watch" that took place at Imber during which the legendary Arthur Shuttlewood witnessed a Mysterious Phenomenon... a phenomenon that only the most skeptical of his companions dared to point out was nothing more mysterious than common-or-garden lightning!